I've written several books where the heroine was the owner of a ranch, her father recently died and she was forced to take over, or her father was an alcoholic and had let the ranch go. I love writing strong women in the Old West, but I've been asked before if women really did have the right to own land and run a ranch, or if they really lived such adventurous lives as I've written--so I thought I'd give you a few examples from real life. The first and one of the most remarkable is Margaret Heffernan Borlund. 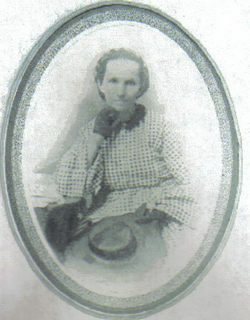 Margaret was one of the first women cattle drivers in America, an Irish Immigrant, daughter of John and Julia Heffernan. After her husband's death she assumed full responsibility for his estate, a large cattle ranch. She left the physical labor to her hired hands. She bought and sold livestock. By 1873 she had 10,000 head of cattle. In the Spring of 1873 she left her home in Texas with two sons, both under 15, a 7 year old daughter, and a younger granddaughter and a group of trail hands. After successfully reaching Wichita, Kansas, her destination, she suddenly was consumed by an illness known as "Trail Fever." Which included congestion of the brain. She soon died and her body was returned to Texas for burial. One of the most unusual that I've stumbled across, and one that's similar to a Western I wrote (Love Finds You in Sundance, Wyoming) concerns Charley--Charlotte--Parkhurst. Only in my book, the woman posing as a man stopped doing so after a few years, and regained her feminine role. Charley never did. also known as One Eyed Charley or Six-Horse Charley, was an American stagecoach driver, farmer and rancher in California. 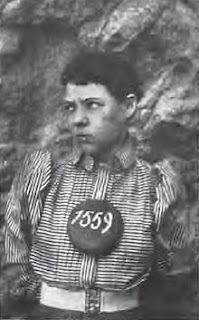 Born and reared as a girl in New England, mostly in an orphanage, Parkhurst ran away as a youth, taking the name Charley and living as a male. 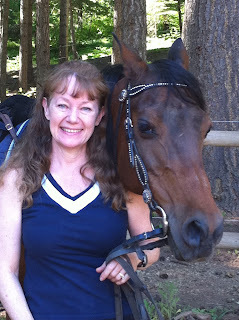 She started work as a stable hand and learned to handle horses, including to drive coaches drawn by multiple horses. 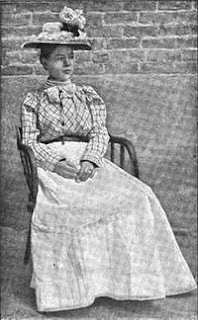 She worked in Massachusetts and Rhode Island, traveling to Georgia for associated work. In her late 30s, Parkhurst sailed to California following the Gold Rush in 1849; there she became a noted stagecoach driver. In 1868, she may have been the first female (though passing as a man) to vote in a presidential election in California. At her death, it was discovered that she was female, as was the fact that she had given birth at an earlier time. 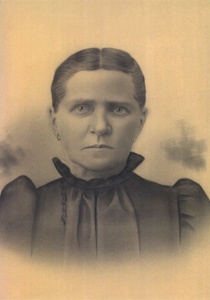 to find a better life for her children was Elizabeth Simpson Bradshaw. She and her five children, the youngest only 6 years of age, walked across the American prairie pushing all her family possessions in a handmade, wooden handcart. Many were the heart rending scenes she witnessed of death and burial. At one place, fifteen souls were buried in one grave; another time, a two year old girl was buried and the wolves were digging for her body before they were out of sight. Some of the men stood guard over the graves as long as possible to keep the wild animals away. After much tribulation, Elizabeth, with all of her children still living, arrived at her destination, the Salt Lake Valley. There in the West she made her home, reared her children, and is honored by her posterity. I've yet to write a book about a woman outlaw, although my Sundance book touched the fringes with the heroine having grown up in an outlaw gang, then escaping at the age of 18. But this post wouldn't be complete without a woman outlaw--I give you Pearl Hart. the American Old West. 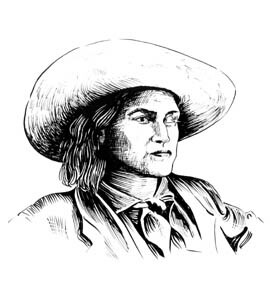 She committed one of the last recorded stagecoach robberies in the United States; her crime gained notoriety primarily because of her gender. Many details of Hart's life are uncertain with available reports being varied and often contradictory. The robbery occurred on May 30, 1899 at a watering point near Cane Springs Canyon, about 30 miles southeast of Globe. Hart had cut her hair short and took the highly eccentric act, for a Victorian Era woman, of dressing in men's clothing. Hart was armed with a .38 revolver while Boot had a Colt .45. One of the last routes in the territory, the run had not been robbed in several years and thus the coach did not have a shotgun messenger. The pair stopped the coach and Boot held a gun on the robbery victims while Hart took $431.20 and two firearms from the passengers. After returning $1 to each passenger, she then took the driver's revolver. After the robbers had galloped away on their horses, the driver unhitched one of the horses and headed back to town to alert the sheriff. novels. 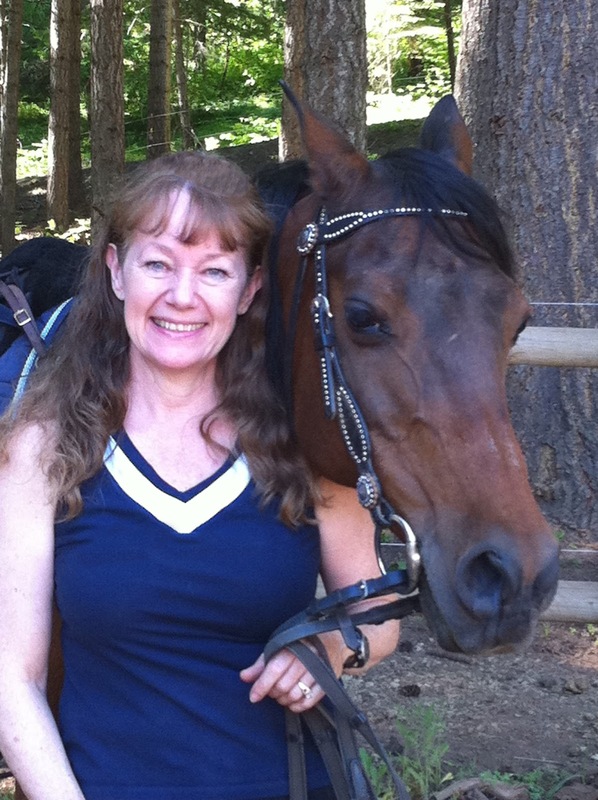 She lives with her husband in the Columbia River Gorge, loves country life and enjoys taking research trips for her historical settings. She’s taught workshops at library and writer conferences, spoken at churches, historical societies and multiple women’s groups, and looks on her writing as a ministry. Miralee is a past president of Portland ACFW for 5 years, and a licensed lay-counselor through the American Association of Christian Counselors. You can learn more about Miralee by visiting her blog/website and signing up for her newsletter all at THIS Location. Those sure were tough women. I wonder how Charley managed to keep her identity a secret for so many years, especially when she was pregnant. Belle Starr was a female outlaw in these parts. If Fort Smith, AR, there a house that Belle used to own, in which she ran a "Social club". Later, she passed it on to her daughter. It's now called Miss Laura's Social Club and it's a very interesting place to tour. Vickie, I'd love to get to tour Belle's house! I love seeing things like that from the past.